Brawls are chaotic affairs with combatants using whatever is at hand to smash and bash their enemies into submission. In short, they are tremendous fun! I love running barroom brawls. Barroom brawls are one of the quintessential events that occur in taverns, inns and pubs of a certain quality. Alcohol mixed liberally with folk used to solving problems with violence is an explosive (but fun) combination. The great thing about barroom brawls, though, is that although people get hurt, it’s rare anyone dies. This means the players can let their hair down and try some crazy stuff they’d never try in a “proper” battle. One of my earliest gaming memories is of running a village brawl back while I was at school. Recently, I ran a barroom brawl in my Borderland of Adventure campaign that culminated in the party being thrown out of town! Change of Pace: The great thing about barroom brawls is that although people get hurt, they rarely die. This means the players can try all manner of hair-raising, insane tactics without having to worry about their PC’s imminent demise. They are a great way for the players to blow off steam after a successful (or disastrous) adventure. Different Type of Challenge: Barroom brawls often utilise lots of lesser known rules (such as unarmed combat, improvised weapons and so on). Such events offer different challenges to a normal dungeon delve. They are also a sneaky way of introducing the PCs to lesser known rules they might need in the near future. Introduce an NPC: Brawls are a great opportunity to introduce NPCs to the party. If the PCs save someone from a serious beating they could make a friend for life who may be able to help them in the future. However, they can just as easily make an enemy. Such an enemy is different to their normal adversaries. Instead of just trying to kill them, he could make the PCs’ lives a misery in town – rubbishing their reputation, stymieing their information gathering and so on. Perhaps the party brawl with another group of adventurers and from this innocuous beginning a deadly rivalry slowly grows. Start An Adventure: A barroom brawl is a much better start to an adventure than a mysterious stranger approaching the party with an offer of employment. Things can get broken or stolen in a brawl. They are also excellent cover for theft, kidnap, assassination and more. A prospective employer could even deliberately start a brawl to judge the adventurers’ capabilities. Remember the reasons above are not mutually exclusive. A brawl can serve several purposes at the same time. A barroom brawl can start for any number of reasons. A PC could spill someone else drink or inadvertently take a drunken regular’s table. Gambling is an excellent start to a barroom brawl. 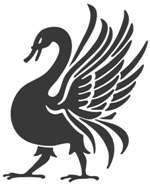 With this in mind, Raging Swan Press have released Dragon and the Thief designed to be both a fun tavern game in its own right and a barroom brawl starter (if the GM desires). 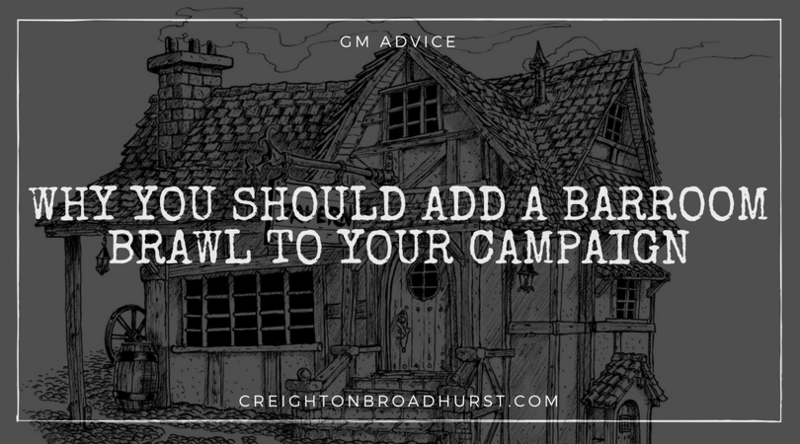 Have you featured a barroom brawl in your campaign for another reason? Why not share it in the comments below and help your fellow GMs run a better brawl today! Also a good chance for the enemies thief to steal that important macguffin from the unsuspecting party! Perfect opportunity to get some equipment off your more powerful player characters, snatching items that’s been breaking the game, or the players could gain items & money falling or no longer guarded in a corner, or just walk out on a hefty 4 day bar tab. Assassination attempts, gang territory disputes can be settled, kidnapping a PC is always great fun. I included a barroom fight in Agnosco Adventum, featured in the Canonfire! Chronicles. It was a fully armed and armored fight, rather than a proper brawl as you describe above, but it was always great fun to run for all the playtest groups. I think it would be a blast to set up a brawl where the PCs aren’t tempted to turn it into a deadly melee. Bloody hell, I bet explaining to your door staff that they work for you – as they toss you out the door – goes down well!